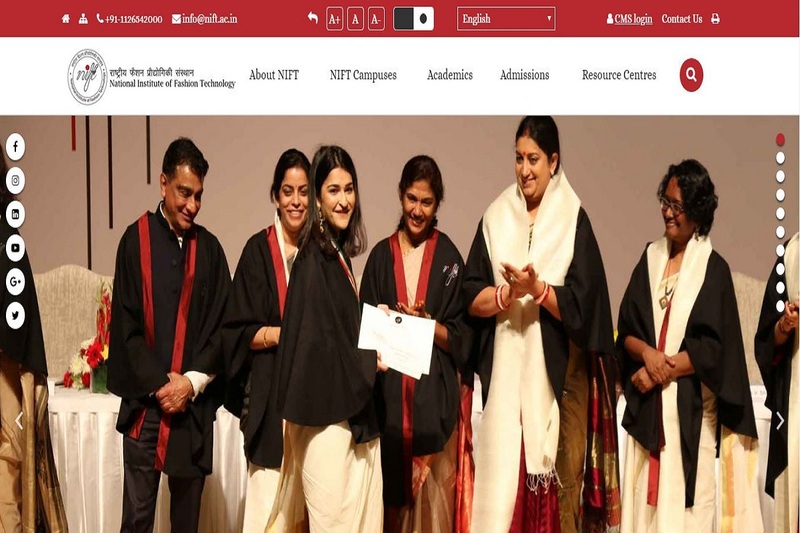 NIFT results: The candidates can check their results from the official website. NIFT results: National Institute of Fashion Technology has released the results of the written entrance exam. The results have been declared for B.FTech, M.FTech. and M.F.M. programmes. The entrance examination was conducted on January 20, 2019. The candidates can check their results from the official website. · On the page that opens, click on view results. · On the next page, enter all the details asked like roll number, date of birth and application number and click on submit. · The results will be displayed on the screen. · Download the results and save for future reference. Direct Link: The candidates can check their results using the direct link here. Results of BDES and MDES programmes will be declared in due course. The registration process began on October 22 and closed on December 28, 2018. The entrance examination was conducted on January 20 and the situation test/GD will be conducted in April/May 2019. The final results will be declared at the end of May/June 2019. · For more information, the candidates should check the official website.